Ksport Rally AR Spec coilover System is designed specifically for asphalt rally competition. It features extended stroke, heavy-duty internals, and simultaneous compression and rebound adjustment. The Ksport system uses a Monotube design in which the oil and gas are separated within the cylinder. When compared to twin tube designs the Monotube dissipates heat better, allows finer damping adjustments, and requires more expensive design process. Aeration and cavatation are a lot less common in a Monotube design, which results in a better ride. 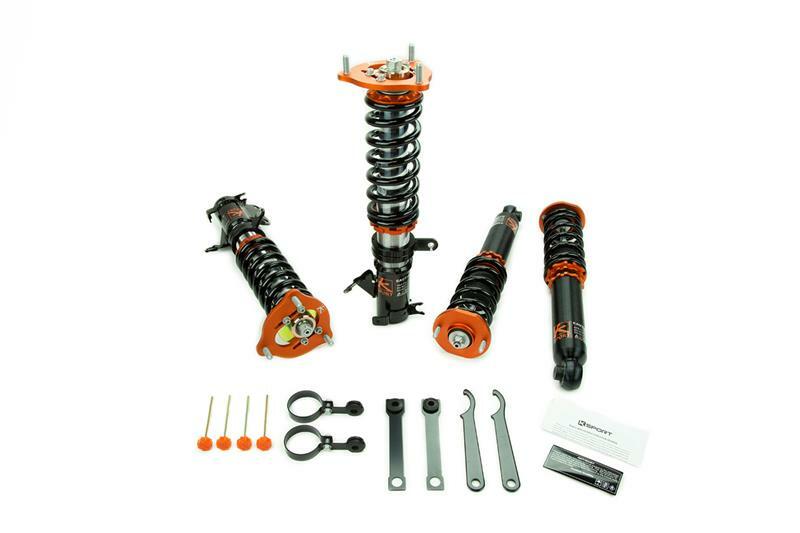 Note: For many vehicles (but not all applications) the Ksport Rally Spec AR coilover system will allow your vehicle to achieve OEM height levels. Depending on application, your vehicle will be able to lower up to 3 inches from OEM level. This is a concern for people competing in rally events, as many sanctioning bodies have rules that pertain to ride height.